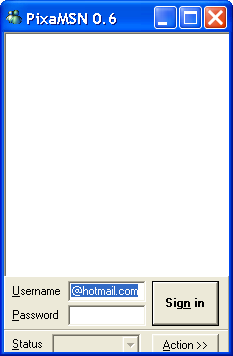 Description: It is a tiny MSN Messenger clone. You will log in as Invisible, so no one will notice you're online. Then, if you decide you want to talk, get out of Invisible mode and start chatting, or just switch to Messenger itself.